Kids have big questions and real feelings, and they often pop up when we least expect them. Kids have a way of making things interesting like that, right? We want to share with you 8 of God’s Promises for Kids, so you can be prepared to teach them to your kids. The added bonus of having these at your fingertips? God’s promises for kids are also God’s promises for us! God’s Word is accessible to everyone, and His love is for everyone. One of our Words to Live By that we teach our kids is this: Everyone we meet is someone Jesus died for. Isn’t that a great perspective? Everyone can receive God’s love, forgiveness, and promises, no matter what. God’s promises for kids are not just for kids! They’re for you, too. Learning these Bible verses for yourself can help us when we’re afraid, sad, or discouraged. Teaching God’s promises for kids is important but it’s just as important for kids to see us living out these promises for ourselves. After all, they are watching us. How we respond to stressful situations is teaching our kids how to respond in those situations. Yikes. That’s scary to think about, right? How we respond to stressful situations is teaching our kids how to respond in those situations. It’s true. They are watching much more than they are listening. Invest some time learning these Bible verses. In moments when you need encouragement, you can speak or pray these verses as a reminder of God’s promises. Doing this around your kids will encourage them, as well. Part of our family culture is to develop faith in our kids’ lives. 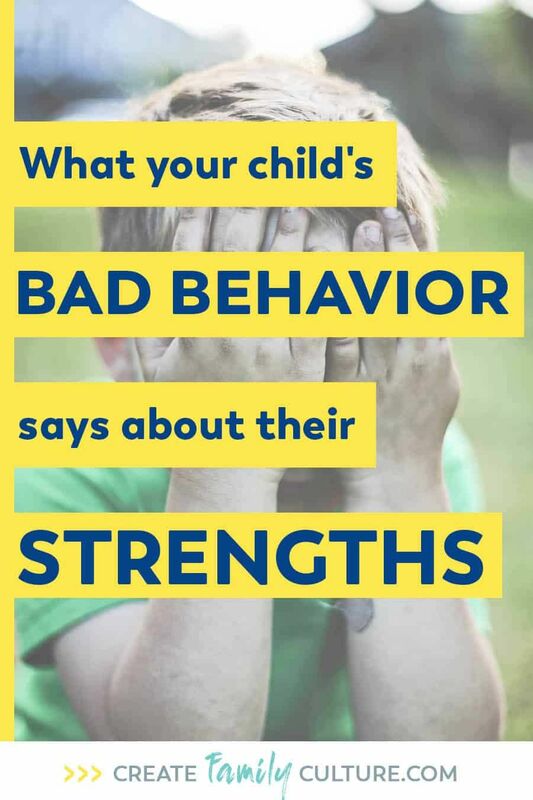 Do you know what values, character traits, skills, experiences, and important conversations you want for your child? If not, check out our Creating Your Own Family Culture Step-by-Step Guide! It will walk you through every step. Families often have intentional time to talk during family devotions, at bedtime, over dinner, or during your kids’ quiet time. It doesn’t matter what time you choose; it just matters that it happens. Take a few minutes to figure out when you can carve out some time to intentionally share God’s promises for kids. We have a free printable that will help make it easier for you! This printable has 8 of God’s Promises for Kids along with 16 scriptures – 2 for each promise – that your entire family can memorize together. Having God’s Promises for Kids displayed somewhere in the house will also help everyone remember that God is faithful! Inevitably, we cannot predict when kids’ big questions and strong emotions will appear. Look at these situations as teachable moments when we can remind our kids of what God has said about their situation. He cares about their situation, and He is walking alongside them in their challenges. What encouragement! As you’re learning God’s Promises for Kids, feel free to pin this post so it’s always at your fingertips! Here they are: God’s Promises for Kids! What are some ways you share God’s Promises for kids in your home? Let us know in the comments!